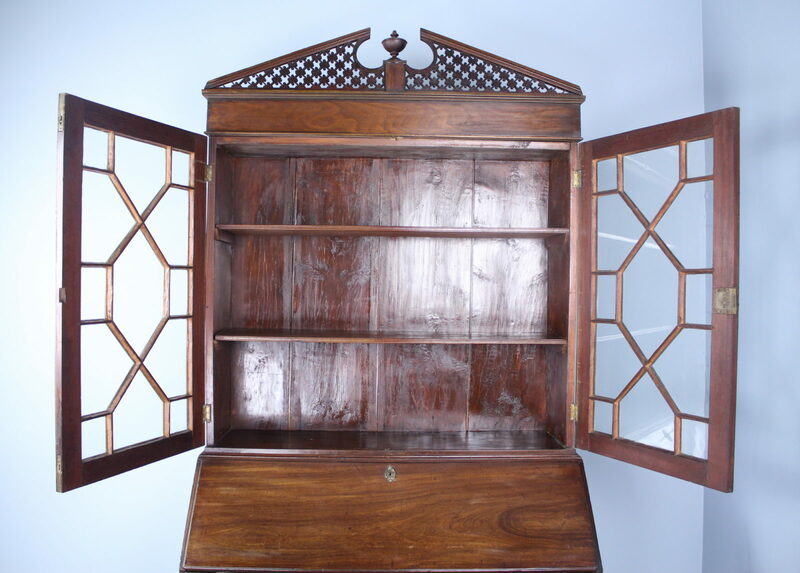 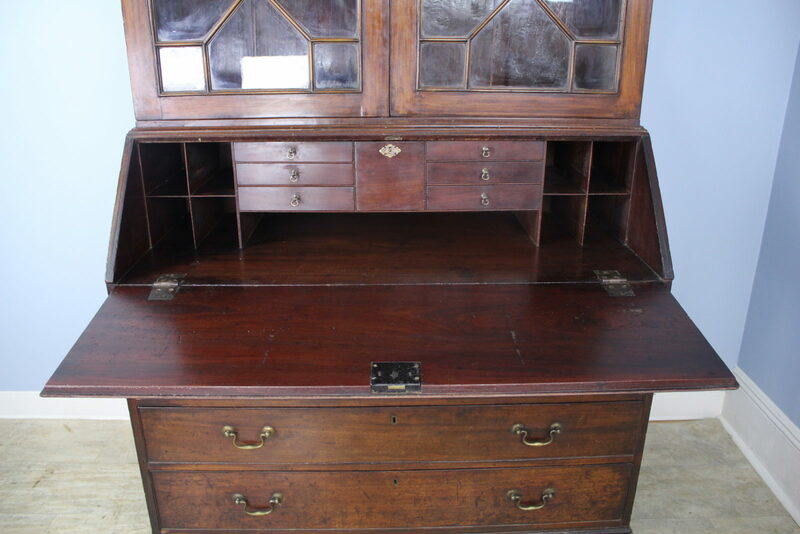 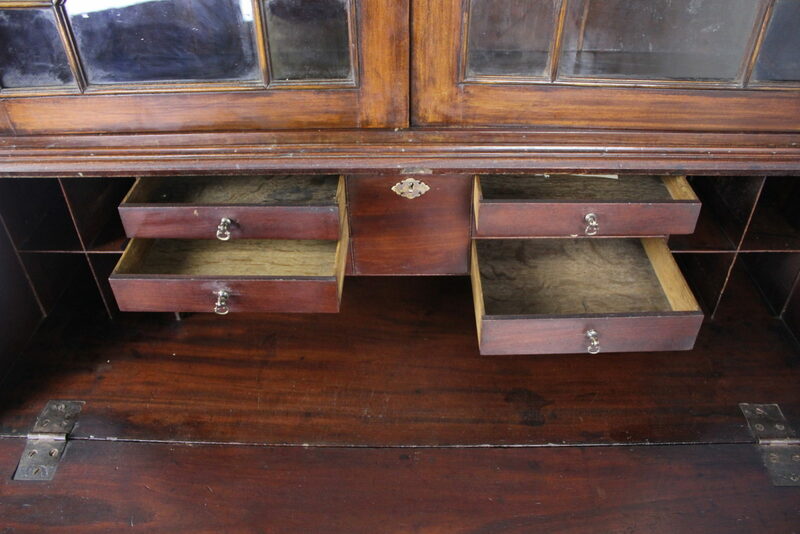 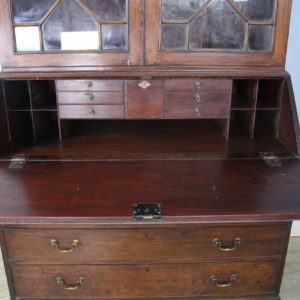 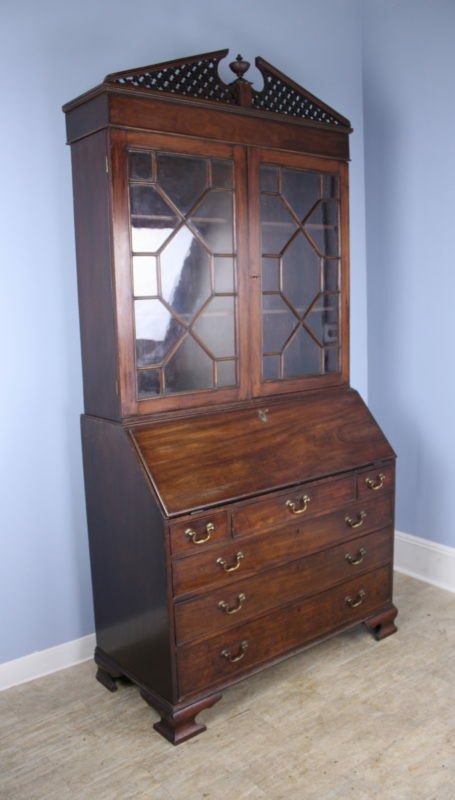 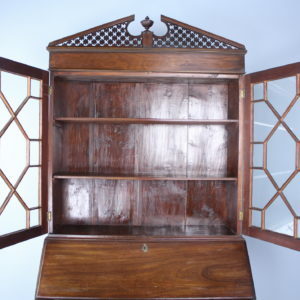 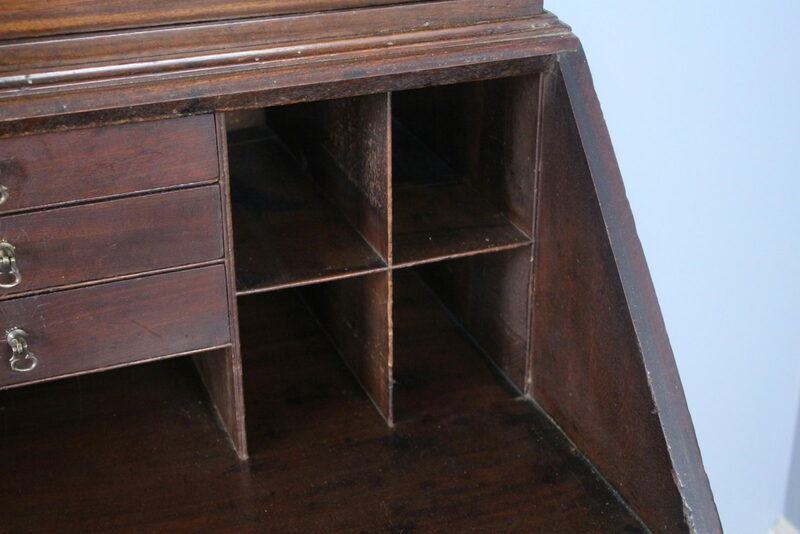 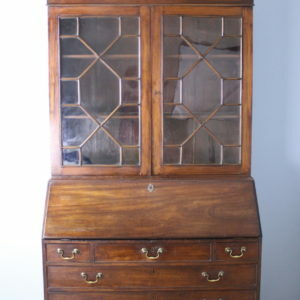 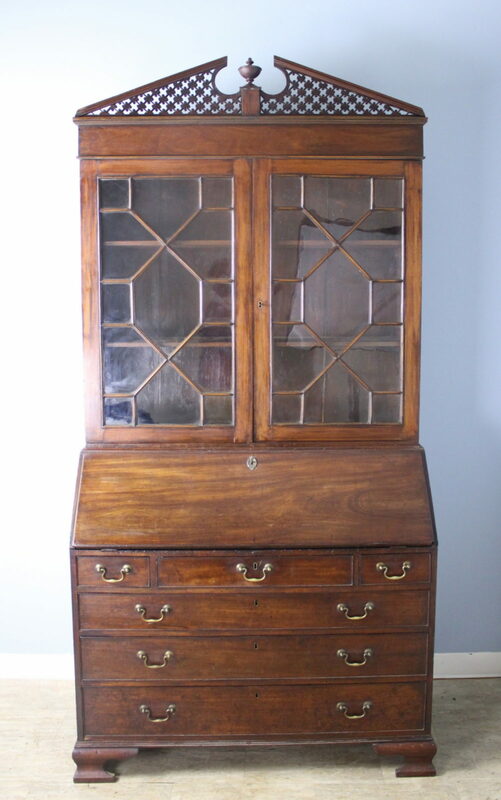 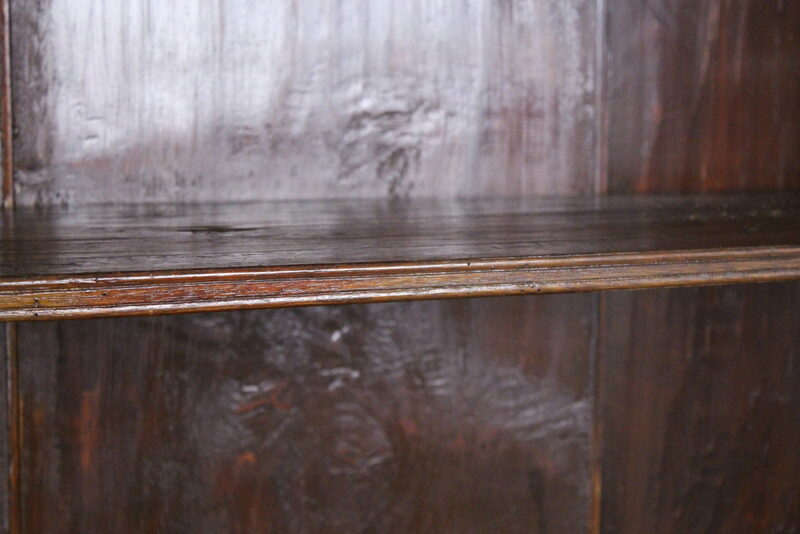 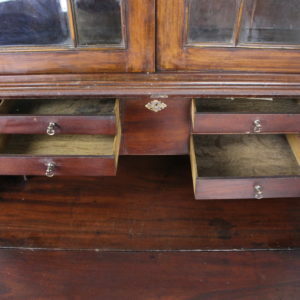 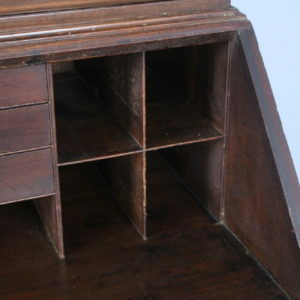 A fine example of multipurpose 18th Century Gothic English furniture, with a generously proportioned bookcase on top, and built in secretaire or bureau with a flip down writing surface and charming cubbies and small drawers. 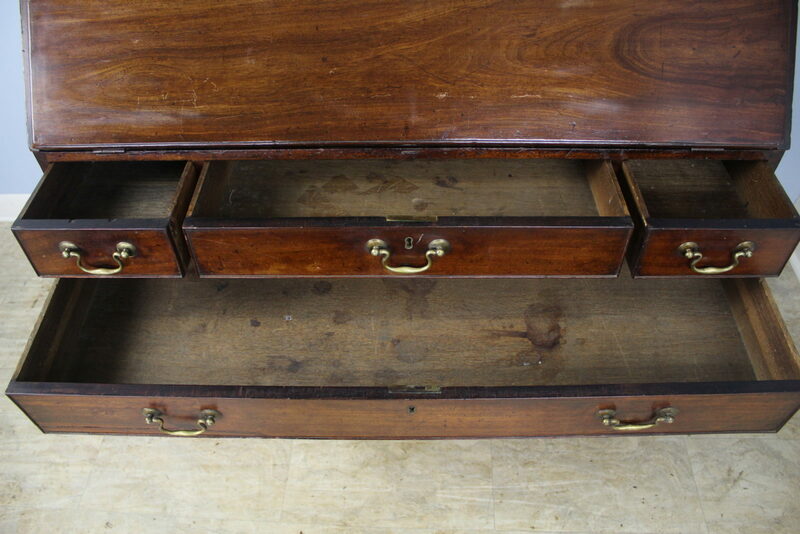 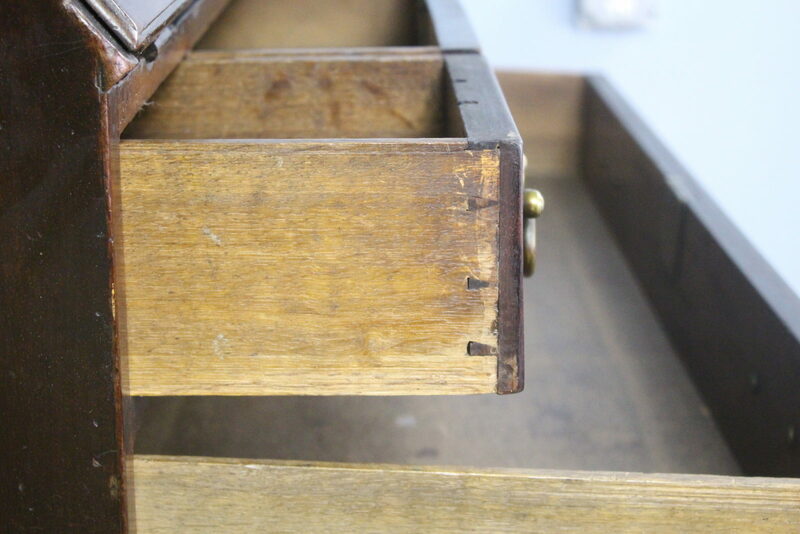 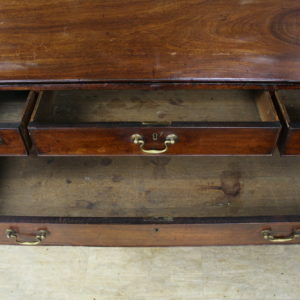 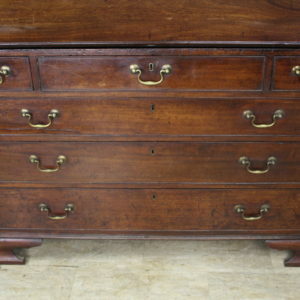 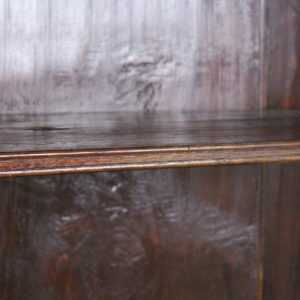 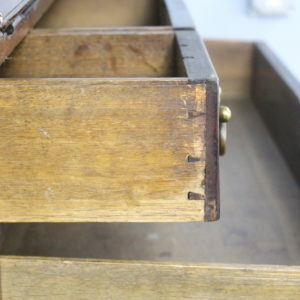 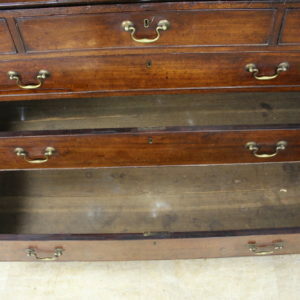 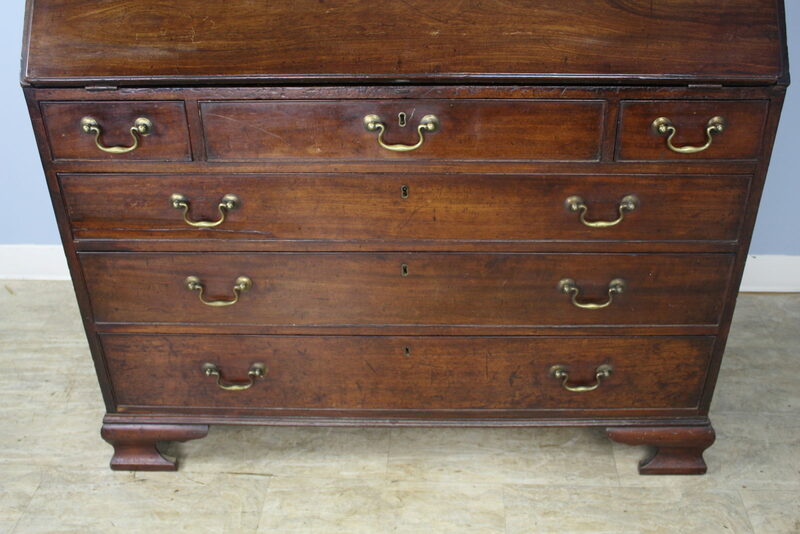 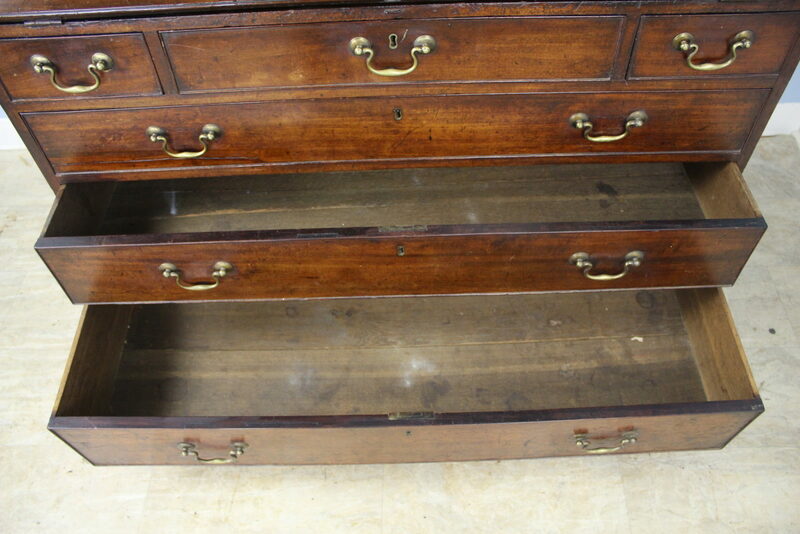 Classic three over three chest construction at bottom. 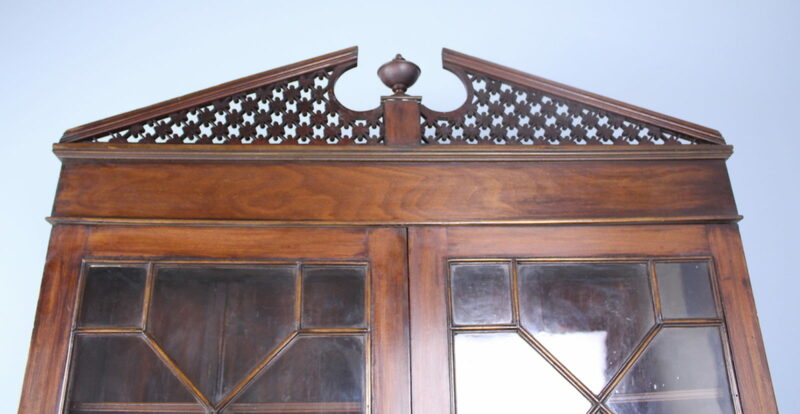 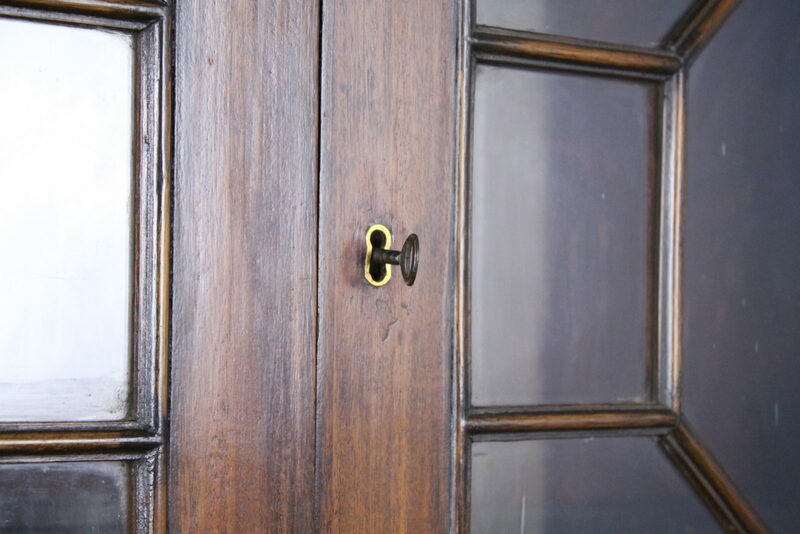 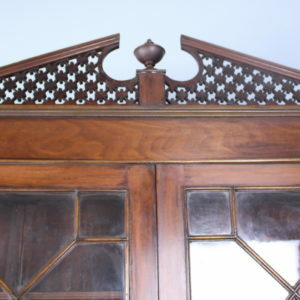 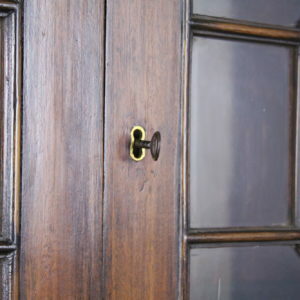 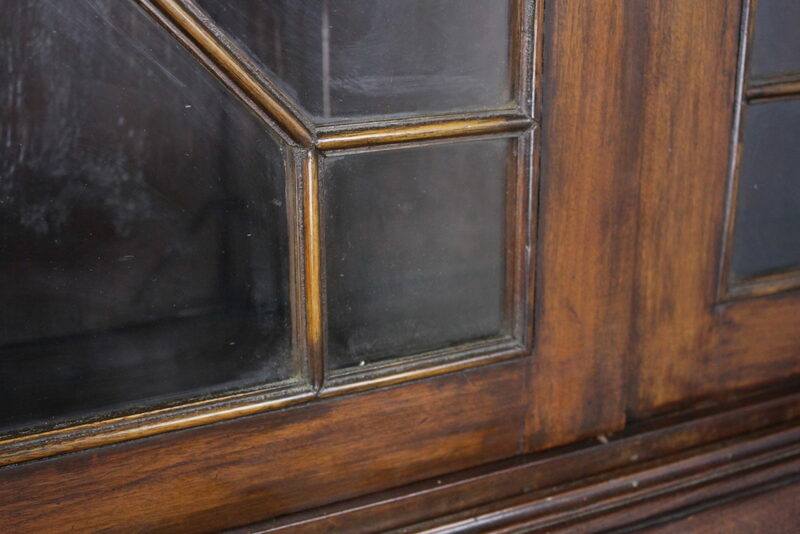 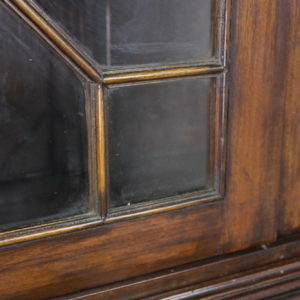 Period features include filigreed lattice and finial on the pediment, reeded edges on the shelves, original wavy glass, and original brass handles and escutcheon.